I don’t think it’s an understatement to say that the Etrian Odyssey franchise has been a major cause for the revitalisation of the Japanese dungeon crawler genre in the west. It was once a substantial genre in its own right, but time had been unkind to the genre; Wizardry went to a Japanese developer and went largely Japan-only, and whatever other games in the genre that were released over a substantial period prior to the first Etrian Odyssey on the Nintendo DS were gone and forgotten quite quickly. Now, however, the genre is surprisingly healthy, with hits like Demon Gaze, Persona Q, and Dungeon Travelers demonstrating that there’s a healthy demand for the kind of experiences that these games provide. And, again, I think we have Etrian Odyssey to thank for a lot of that. As a huge fan of the genre, that’s why I was so excited to play Etrian Odyssey V… and it hasn’t disappointed on any level. 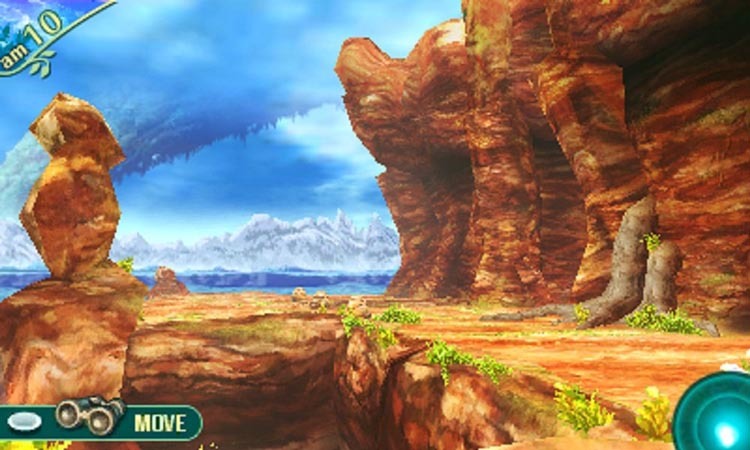 Etrian Odyssey is best known for the way it makes players draw their own maps along the way. This goes right back to the early days of dungeon crawlers on PCs; the likes of Dungeons & Dragons: Pools of Radiance, the early Wizardry and Might & Magic games. Back in those days the game wouldn’t keep a map for you, and the labyrinths were complex, so you had to buy yourself a book of grid paper and painstakingly map out the dungeons step by step, so you wouldn’t get yourself lost. Most of the more recent dungeon crawlers do the mapping for you, but Etrian Odyssey really embraced the tradition, and made good use of the Nintendo DS and 3DS dual-screen setup to facilitate it. On the top screen is the action, and on the bottom is a virtual piece of grid paper, with all the mapping tools you’ll need at your fingertips. You don’t technically have to fill the map in as you go (there’s no out-and-out penalty for not mapping, or mapping poorly), but it’ll be impossible to navigate the increasingly complex dungeon layouts without doing so. That, and it’s just plain fun to do. There’s such a rush of nostalgia in crafting those maps, and it doubles as a remarkably effective way of showing players, visually, the progress that they’re making through the game. Sometimes it might take an hour or longer just to fill in a section of the map, as random encounters and the like punish you to the point that you need to keep retreating back to the safety of town, so seeing the map slowly grow is often the pick-me-up that you’ll need if you ever feel like progress is too hard to come by. Etrian Odyssey V is best played on its highest difficulty setting. That does make it very difficult, but then the challenge level matches the nostalgia of mapping your way through the game. I have very fond memories of spending hours slowly building my party of heroes up in early Wizardry games because the challenge spikes from one dungeon level to the next were brutal, and Etrian Odyssey challenges me in the same way. It’s frustrating at times, but rewarding, and the combat system is built around encouraging people to really make full use of their character’s abilities and resources. On the lower difficulties it’s too easy to get through encounters with a bit of grinding and the standard attack command, which is far less engaging. 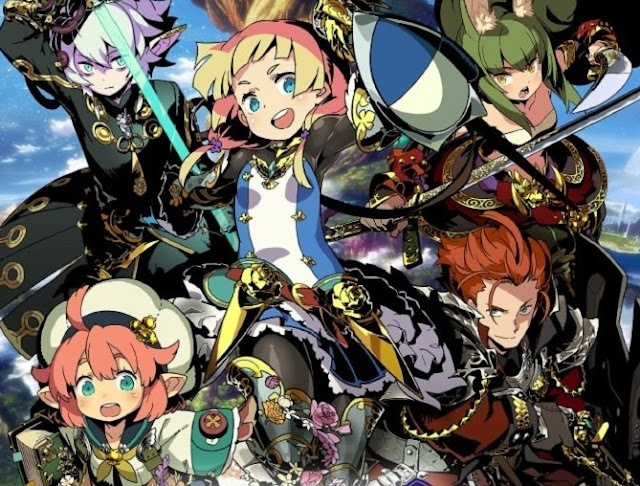 At its best Etrian Odyssey is highly tactical, and learning how to create an effective party of five heroes, and then mix their combat skills to account for any enemies the game might throw at you is the heart & soul of the combat system. The other reason that I really recommend playing on the highest difficulty is that it makes the game’s FOEs utterly terrifying. For those that haven’t played an Etrian Odyssey game before, most of the game’s enemies are fought through random encounters; you’ll wander around for a while, and then at some point an encounter will be triggered and you’ll be taken to the battle screen. But FOEs are different. They show up in the game world as you explore, and follow pre-designed patterns on the map; for every step you take in the dungeon, they take one step. Some will chase you if they spot you, but others are content to wander back and forth irrespective of what you’re doing. These FOEs are ridiculously powerful for the dungeon level that they’re on – it is effectively impossible to defeat them until you’ve progressed far deeper into the dungeon and have levelled up your party a great deal. 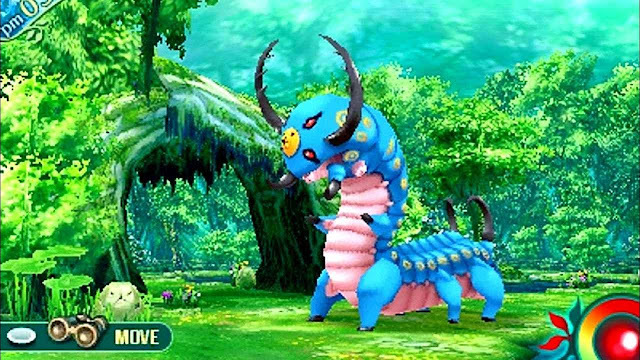 At first your goal is to navigate around them, and finding a path past them that won’t bring you into contact (and thus combat) with them forms a significant chunk of the puzzles in Etrian Odyssey V. On the lower difficulties you’re still not going to be able to beat these monsters the first time you run into them, but it’s generally easier to get away if you do accidentally get jumped by one, and you will be able to tackle them far sooner than on a high difficulty. 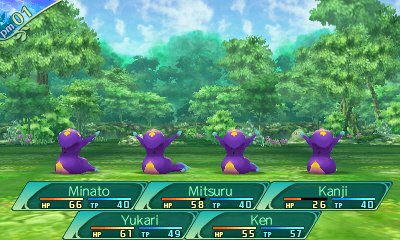 In general they’re less intimidating, and therefore less effective at the narrative role they play in the game. I hate to draw comparisons to Dark Souls, but playing this game on easy would be like cruising through that, button mashing your way through boss battles. In effect that hypothetical easy Dark Souls would be the same basic game, but loses something important to its tone in the process. Still, for people who are looking to simply float through the game without being challenged, there are those easier difficulty settings. I can’t imagine anyone coming to the game for the narrative on the easy setting, however. The storytelling is minimalist to the point of non-existence, and largely involves your group of heroes mapping the giant dungeon of Yggdrasil because it’s going to help the community at its base. 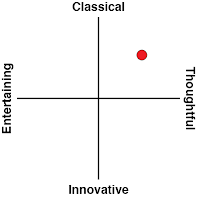 As I mentioned earlier, there’s a narrative experience in the exploration itself, the zen-like serenity to the world (that somehow the combat doesn’t disrupt, and I'm not sure how), and the presence of those FOEs, and the game is immersive in itself for these reasons, but people who like their stories dictated to them will find the experience rather dry. What I did like was the increase in the number of little anecdotes that Etrian Odyssey V throws at players, compared with previous games in the series. Every so often (or quite frequently, in this particular game’s case) you’ll come across a point of interest. It might be a person that’s also in the dungeon from some reason. It might be a bag hanging suspiciously from a tree branch. It might be leaves rustling oddly nearby. In each instance you’ll be invited to choose whether to investigate further, pick a way of navigating past a hazard, or decide whether to help the person out or not. Sometimes these result in something good happening. Other times you’ll be punished for your curiosity, but these little incidents go a long way to create the sense that the various dungeons in Etrian Odyseey V are alive and vibrant; and are indeed part of the narrative fabric, rather than something to simply impede your progress. Previous Etrian Odyssey games were perhaps a bit light on with this regard, but this one really embraces them, and it’s for the better. Etrian Odyssey games have always been beautiful, and have needed to be in order to craft that wonderful sense of zen serenity which is so distinctive to the series. Etrian Odyssey V is no different, though it’s the first time that the game’s ambition seems to outweigh the console’s ability to handle it. Framerates and the like aren’t of particular concern to a game like this, but the pop-in of background details is instantly noticeable here, and while I haven’t played the other Etrian Odyssey titles recently, I can’t remember it being an issue in any of them. Enemy sprites are beautiful, and the detail in the character portrait designs is almost unparalleled, but coming from playing Demon Gaze II on the PlayStation 4, it’s hard not to wish that the series had progressed off the now diminutive handheld. Or to put it another way, this is a game that relies heavily on presenting detailed, beautiful, complex graphics and art, and yet of all consoles it was released on the 3DS. Related reading: Persona Q uses the same engine, and it is SO GOOD. 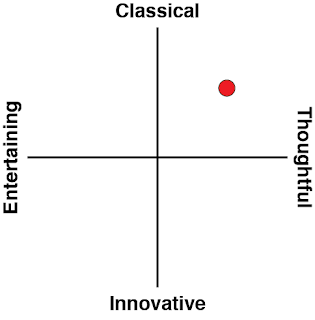 Our full and in-depth review. But then the 3DS is the only console out there that offers to screens; a feature that is genuinely critical for Etrian Odyssey’s map-making mechanic. Were this to be a PlayStation 4 and indulge in auto-mapping as Demon Gaze II does, the unique feature that has made this particular series so special for so long would be gone. This leaves the entire series in a difficult spot; just how Atlus is going to keep it going on modern consoles without compromising what fans like about them is going to take some hard thinking, one suspects. Or perhaps this really is the end of the Etrian Odyssey franchise. Perhaps Etrian Odyssey V is the swansong of a franchise that has been one of the few to make meaningful use of an approach to technology and gameplay that has now been obsoleted as Nintendo has retired the dual screen idea. If that’s the case, I’m not going to lie; I’m sad for the end of the end of the franchise, but at least in Etrian Odyssey V it went out on a real high note.